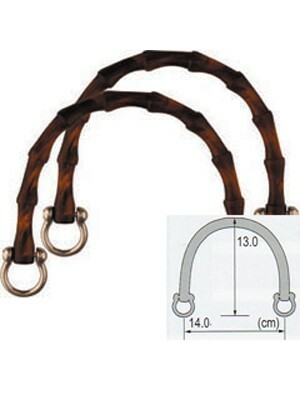 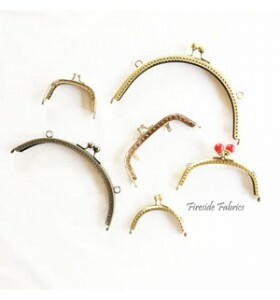 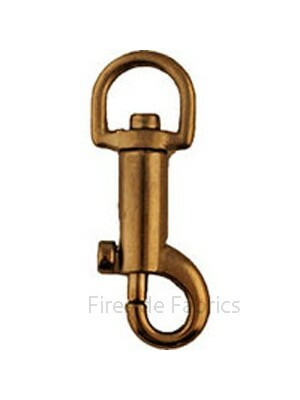 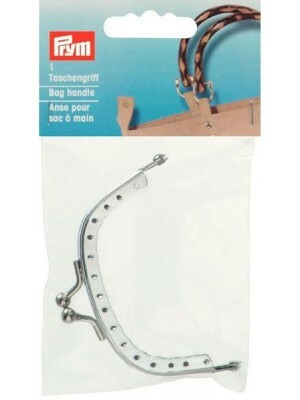 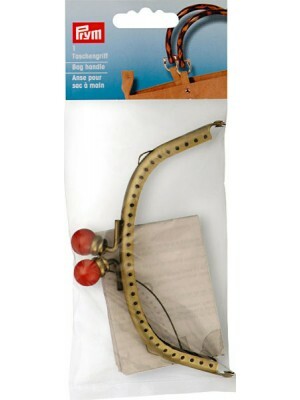 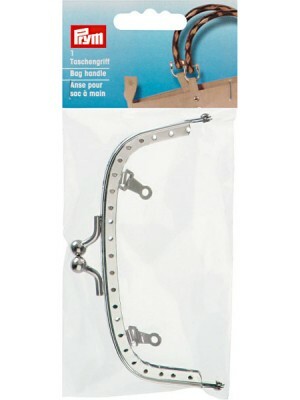 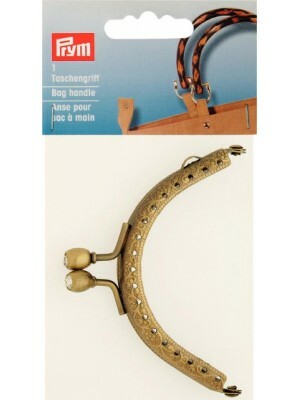 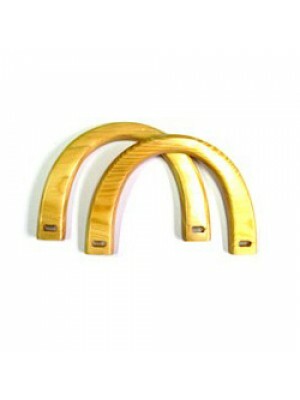 Excellent selection of Bag Handles, Hooks, Buckles, Fasteners, Magnetic clasps, Bag Bottoms. 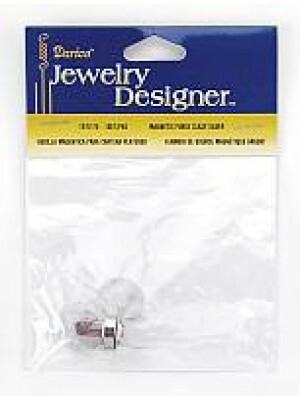 The ideal way to make a gift of a bag or purse using up your Fat Quarters or scraps. 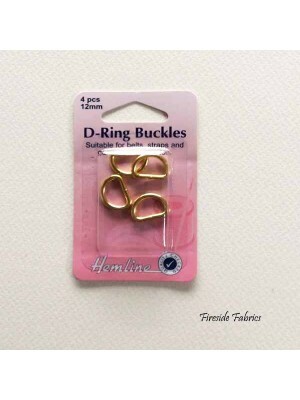 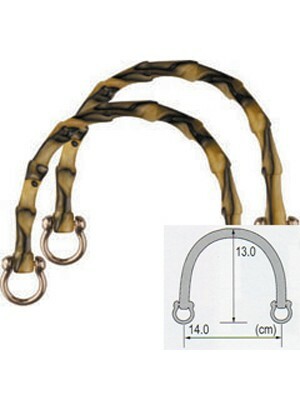 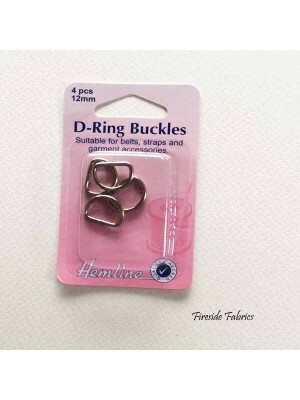 Clover D-Rings for bags and totes 3/4" (20mm) Black Nickel 2 D-Ring pack .. 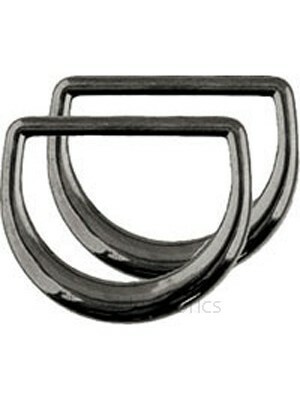 There are 2 x 20mm D-Rings in the pack made by Clover For creating bag and totes .. 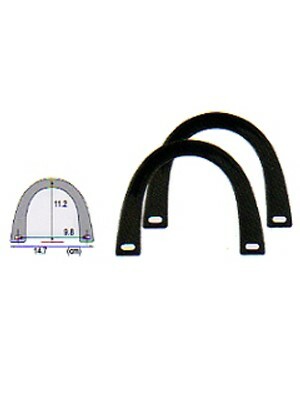 There are 2 x 30mm D-Rings in the pack made by Clover For creating bag and totes ..
Clover D-Rings for bags and totes 1 1/4" (30mm) Black Nickel 2 D-Rings in packet .. 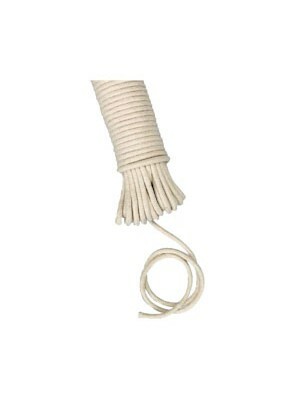 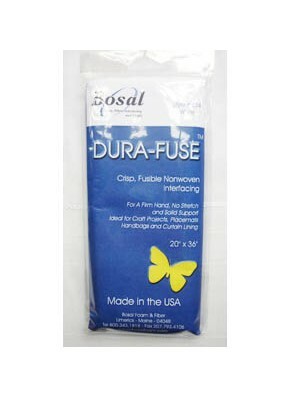 This pack measures 20" x 36" (50cm x 91cm) Dura-Fuse is crisp, fusible nonwoven interfacing For a firm hand, no stretch and solid support Ideal for..
3/16" Polypropylene reinforced cotton cord Stretch resistant Used with the Aunties Two Patterns Ideal for covering in fabric and used for piping ar..
Gold magnetic clasp measures approx 1/2" accross ..
Silver magnetic clasp measures approx 1/2" (1cm) accross..
Make a beautiful handbag with wooden handles There is a pair of handles in the pack Handles measure approx 6 3/4" x 4 3/4" (17 x 12cm) .. 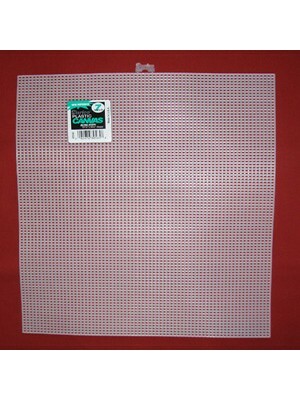 This plastic canvas sheet measures approx 10 1/2" x 13 1/2" (27 x 35cm) The plastic can be cut to the shape your require 7 holes per inch Ideal for.. 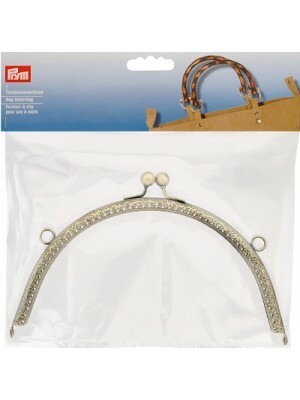 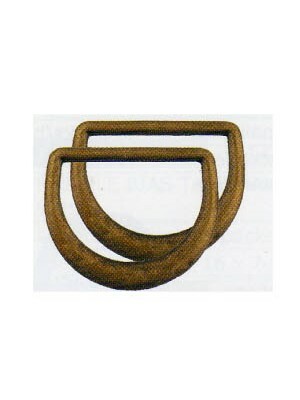 This plastic canvas sheet measures approx 20.5" x 13" (52 x 33cm) 7 mesh The stiff plastic can be cut to the shape your require Ideal for placing i..
Clover Swivel Ring for bags and totes Works well with a D-Ring and an O-Ring 3/8" (10mm) Antique Gold ..
Clover Swivel Ring for bags and totes Works well with a D-Ring and an O-Ring 3/4" (10mm) Antique Gold ..
U-shape bamboo marle handles in Amber 2 pieces in the pack ..
U-shape handles in ivory and black marble 2 pieces in the pack ..
U-shape handles in colour black2 pieces in the pack..
Like all Prym products Prym bag frames provide you with the basis for making amazing bags. 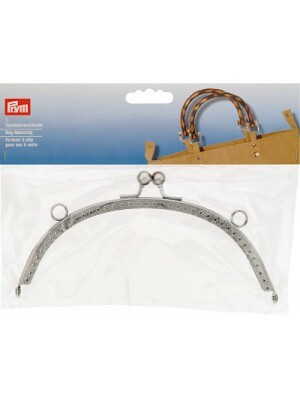 The quality and style will help you produce a home-sewn pro..
Like all Prym products Prym bag handles provide you with the basis for making amazing bags. 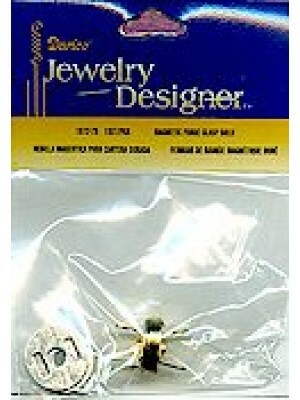 The quality and style will help you produce a home-sewn pr..